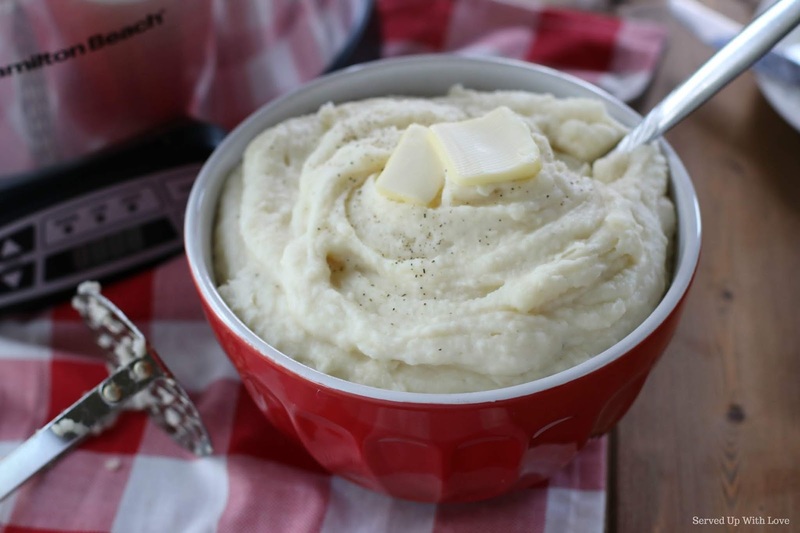 Mashed potatoes are the perfect comfort food. 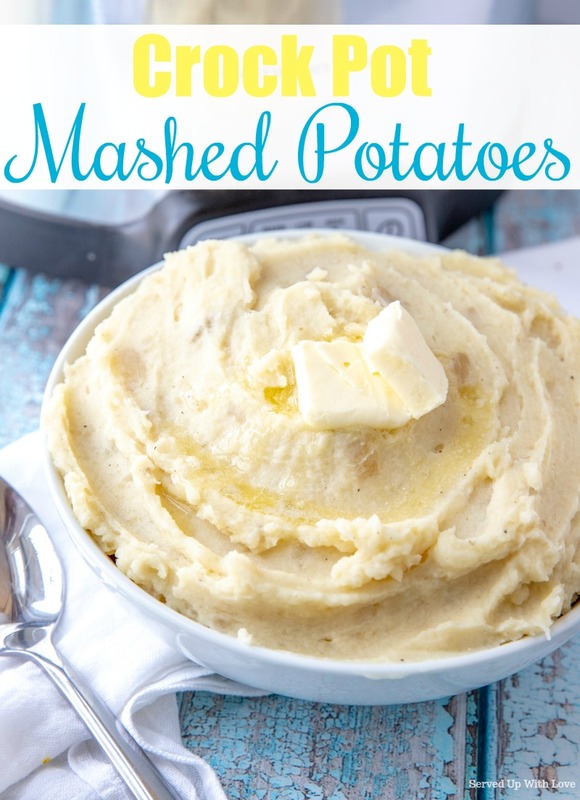 From holiday meals to a normal weeknight meal, it is a huge family favorite. 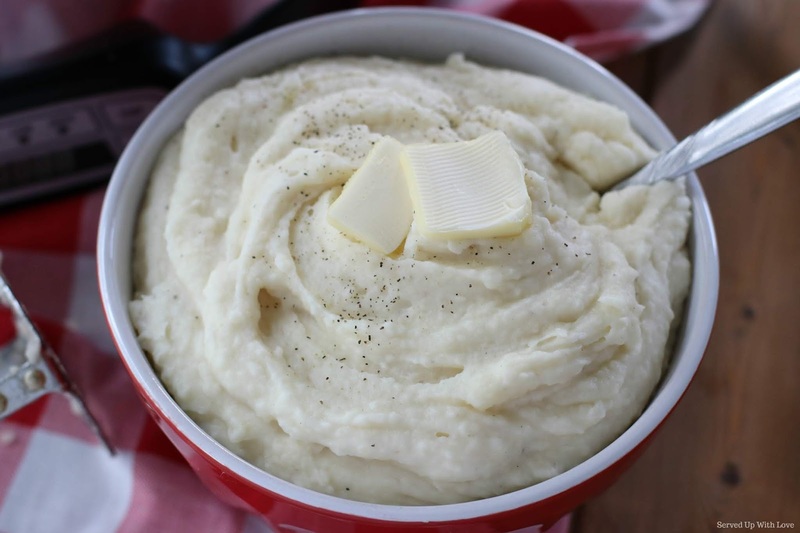 I have a little confession to make with you, I am obsessed with mashed potatoes. I mean like seriously, I could eat them every day obsessed. Our family has always been super close. We get together for almost all the holidays. Our parents house used to be the central hub for us all to get together. Now that our parents are gone we haven't stopped getting together. Honestly, I think we do it just a little more now than we did. It just seems more important to do now more than ever. Now that it is just us three sisters we trade off hosting the holidays as much as we can. Our youngest sister recently moved to another state so now my older sister and I will take turns until we can visit with her. With holiday meals, we go big or we go home. We have our must make dishes that have to be included. And of course mashed potatoes is one of those sides that is a must. 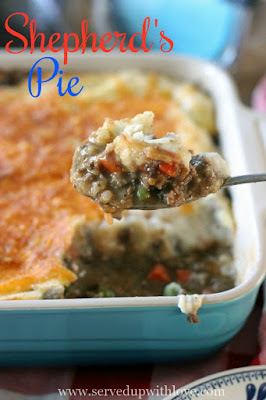 But with all the cooking, it can be one more pot on the stove and more dishes to clean up. I don't know about you but doing the dishes is one chore I dread. It was time to come up with a crock pot version to free up some space and make it super easy. 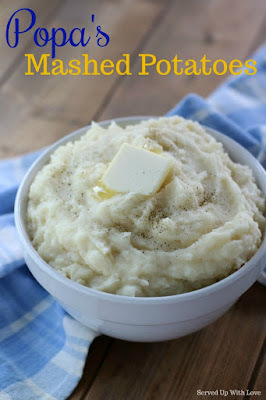 My dad's recipe for mashed potatoes is a pretty easy and simple recipe so I based this recipe off of that one. 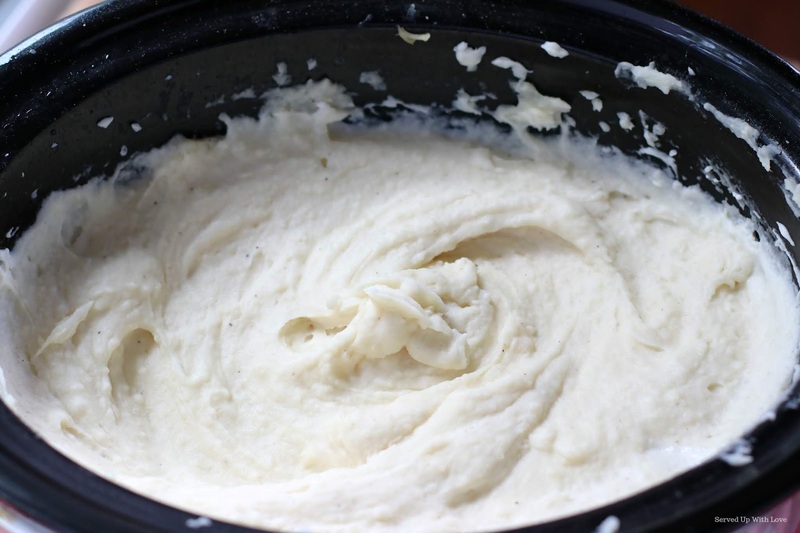 These mashed potatoes came out so flavorful. Slow cooked in chicken broth infuses so much flavor that you just don't get with cooking them on the stove. I don't know if I will ever make them another way now. Plus, you can keep these on warm until its time to dig in. These Crock Pot Mashed Potatoes are perfect for Thanksgiving, Christmas, Easter, a family Sunday dinner, or any weeknight meal. Hope these grace your table sometime soon. Super flavorful and easy mashed potatoes made super simple by cooking them in the crock pot. 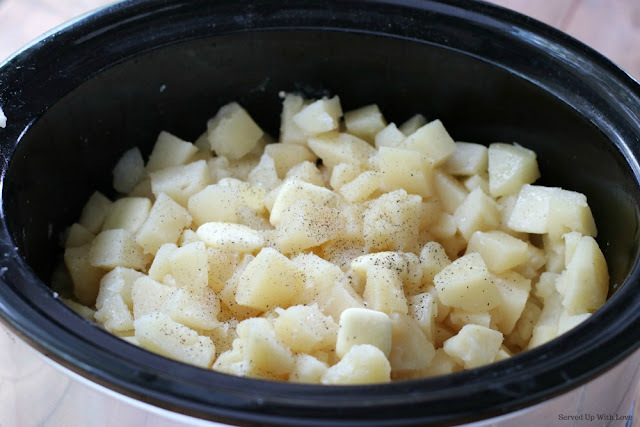 Peel and chop potatoes and place into a 5 or 6 quart slow cooker. Add in chicken broth and half the butter on top. Add salt and pepper. Cook on high for 4 to 6 hours until potatoes are tender. 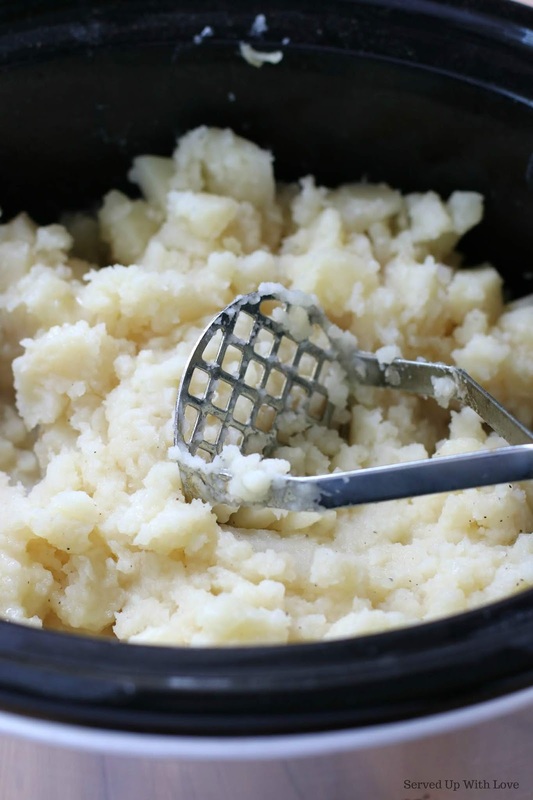 Once potatoes are tender, drain the chicken broth. 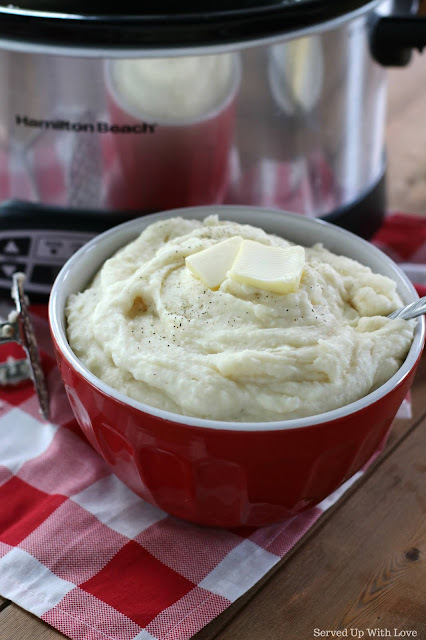 Add the milk, butter, and more salt and pepper and mash with a potato masher or mixer. It may require more milk or some reserved chicken broth if not creamy enough. 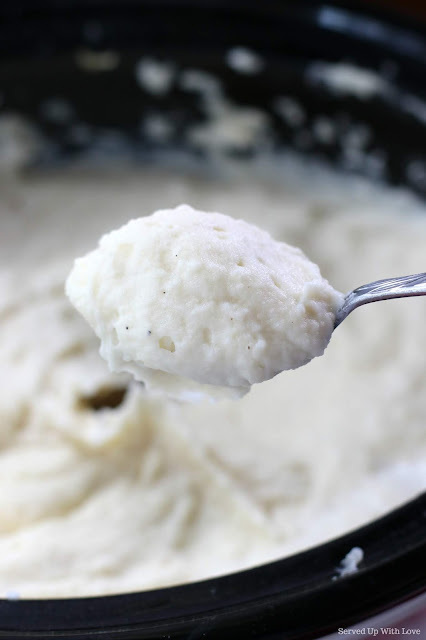 Mix until desired consistency.